As the world of business becomes more and more connected than ever before, people from across the world over are becoming more consolidated in the same working space. However, while diversity in the workplace is as colorful as the flag which each represents, cultural differences among people of various civilizations remain an issue even in a supposedly more open-minded world, that is the present. Sure, there may be a good reason why multinational and cross-cultural teams exist in the workplace—that is, because people of diverse cultural orientations provide unique views and approach to different problems and, thereby, an eclectic of solutions. However, even this perceived benefit may not always outweigh the weight of the issues which could arise from it. After all, when you speak of “culture,” you talk about what the dictionary describes as “a set of common and accepted norms that are shared by the society.” Put in the world context, it means that culture is merely an umbrella term for each civilization’s unique way of living that, more often than not, has friction with another. To put together people from the assortment of cultures is to inevitably create misunderstandings which often underly cultural differences and subsequently affect international business. What better way to resolve issues coming from cultural differences and its affectation to international business than to see the point in its three major facets: organizational hierarchy, etiquette, and communication. Many companies which exercise power to employ people from different parts of the world frequently have one common denominator to them all—they speak a common, unified language. However, communication is not only always conducted with speech. With the English language being the world’s de facto language, people are not only differentiated by their unique accent and diction about the word, they are also separated from their different way of expressing it. One significant challenge therefore in keeping solidarity between people of a different culture but speak a similar language is in finding common ground among them which might entail knowingness in each culture’s differences. However, when the body language is ambiguous, the best logical step is to ask. Workplace ethics is another major issue in the corporate world which highlights diversity in its constitution which, more or less, affect someone’s view of what makes right or wrong in the work setting. Some companies pay little regard to organizational hierarchy in that every member of the workplace is equal to another which creates a flat organizational hierarchy, such as in the Scandinavian country of Norway. However, for Asian countries like South Korea or Japan which pay strict adherence to organizational hierarchy, junior members are typically placed in a lower position than their senior counterparts. Often, the divergence of the stature is ostensive in how junior members pay regards to those who are in the higher ranks. 4. What do you think are other factors (cultural) which we Filipino posses that can make or break the goal when penetrating the global market? -Globalization is the process of international integration through an exchange of goods and services. In cultural differences, communication is vital to the success of any business endeavor. Overcoming this cultural challenges is very important to embrace with the people who will become your customers, awareness and cultural values can bring success in a business. Effective communication is essential in global business and Filipino have great communication skills, that is why Filipino can explore can compete in the global market because of a customer service oriented and because of the cultural values that we are proud of. The other factor which i believe would hinder Filipino to succeed in the arena of global trading is the culture of “incorrect” Authoritarianism or the seniority complex wherein the person who stays longer in the field of work has to be listened and followed by all means by everybody. This should change. It is just like telling the new ones or say people who are younger, that they are no good at all and this is disastrous to any businesses that needed teamwork and cooperation from everybody in order to succeed. Our cultural difference is considered as hindrance in the global world of business. But I believe that we can do more than other countries. We should be more creative and always deliver a good attitude on what we are doing. Let us accept the fact that we Filipinos have also a the other side, the bad side, which, admit it or not, some of us possess and apply which can hinder us ineffectively competing globally. Crab mentality, where the main goal is stepping and pushing each other down for personal gain. Competition is good but we should always take in consideration our principles in life and that is to be fair and doing things in a right manner. . Doing everything to get even with others to get to the top, a true mark of a selfish individual. Procrastination or the Mañana habit. The endless belief that we always have tomorrow. What we can do now should be done today, we Filipinos have this traits which I think can affect in competing globally. Every day is a market day for business, so we don’t wait for tomorrow to come. Lastly, Fatalism. The belief in no-matter-what-happens, come what may. We should not wait for the results to come but we should always have a plan “B” in the event that plan “A” won’t work. By this, we are always prepared for whatever circumstances that may occur in our business. 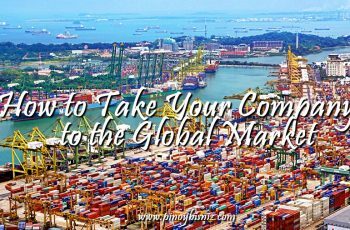 There are some factors which Filipinos possess that can easily break the goal when penetrating the global market. These are: 1) Always late for an appointment. Usually, Filipinos are late for an appointment. We are known for that. Let say if the appointment is 9:00 am, we are there at 10:00 am. I guess it’s a culture–bad culture for the Filipinos. I hope it will diminished. We should be on time for the meeting! Always; 2) Husband is the one who usually work than a wife. There are more housewives in the Philippines nowadays. There shouldn’t be because they should help their husbands in generating income for the family. The fact of the matter is, it’s inflation in the Philippines. Everything is expensive! Therefore, husbands and wives should work together to provide foods at the table; 3) Wife usually handles the money in the household. It’s a norm that wives are the ones who handle the money in the family; 4) More companies prefer male over female in top management. I think it’s so unfair. It should be equal rights for both male and female. They must know the qualities of male and female first before hiring him/ her. It should be the qualities and not the gender advantage; 5) When the boss is not around, the mice are playing. They are not serious about their jobs. I think that’s why there is a high ratio of Filipinos being a frog at work (jumping from one job to another); and 6) When it is not deadline, people don’t work or pay the dues. They always wait for the due date to arrive. I think more or less it’s not very good attitudes to adapt. It has to change! As evident in the successful companies in the global business realm, penetrating in the global market isn’t only about your resources, but is also all about what you do with your resources. Culture, which can be translated into country’s set of attitudes, beliefs, and competencies, is a huge factor that can either make or break a country’s chance into going international. When we speak of make or break, it is allowing no middle ground between success and failure. In the business realm, Filipinos possess a few cultural factors that can either spell great success or failure in the country’s international venture. One is the “hiya” or “shyness”. Filipinos can be preoccupied with or the urge to please other people just to avoid hiya (shame or embarrassment). When a certain business proponent takes time to present, filipinos are unlikely to DIRECTLY REJECT a proposal, even when they do not agree with it. Though this culture can open opportunities for establishment of good relationships and to have wider scope of connection, but in maintaining a good standing in the Global market, this culture is a no-no. To get ahead in the market, the most useful tool is the power to say “No” to things that are taking up time but are not taking much productivity. Second is our tendency to mistake benchmarking into fault-finding. While it can be good to use western standards as our benchmark and having openness to the business ideas or practices from outside sources, sometimes the game breaker, is while doing such, we at the same time, stress our own minus points, find fault in our behavior, underscore our weaknesses and fail to be proud of who we are. Lastly, it’s the hospitality. While it may seem that this is our strongest point, but there can an underlying element that can break us, and that is Filipino’s feeling of inferiority to other races. Filipinos look at foreigners with high regard, to the extent that we give priority to foreigners than their own countrymen. It’s as if we Filipinos are still under colonization. Sometimes, the higher the status of the person visiting, the better our preparations would be, to the extent of spending hard-earned money just to offer visitors with a great service. Indeed, these Filipino culture can make us or break us. At some point, we are guilty with at least one or two of these traits. it’s our own Filipino habits that are lagging us behind more successful Asian neighbors. Therefore, we need to ged rid of these habits, to fit in the global market. The factors which filipino posses that can make or break the goal when penetrating the global market through multinational and across-cultural teams. And cultural orientations provide unique views and approach to different problems.And of course communication is very important in the business, because without communication the business cannot be effective. Then good etiquette in the business, we need to adapt the atittude of the U.S.worker that they come on time or before time, so that you can penetrate your business into global market. We filipinos have a great tie with our religion and that many country as well always put into consideration. We are divided by seas and borders but in all we are connected with the religion and the belief that we follow and believe in and by doing so we can create a better association and bond to countries that shares the same belief. that is a good thing but how bout those countries that contradicts with the religious norms and practices that we have? This puts a challenge in organizing connection with this countries. Although we are in the process of having greater connection with other countries we can’t deny he fact that there are still countries that are not open to do trade and want to keep to themselves. This also pose a risk reaching out globally. And I guess it all comes down to acceptance and be more diverse in our ways and means. Filipinos are known to be friendly. These qualities can make or break when competing globally in the market. Why? Aggresive leaders will take advantage of your friendliness that might hinder your success or participative leader might consider you as an ally in doing business. We Filipinos have cultural differences with other countries that make us distinguished as Filipinos. Our way of life were greatly influenced by the Spanish, Americans, Japanese, Chinese and Malay which is why it is an advantage that Filipinos can deal with all types of people due to this influence brought about long time ago. With this, we adapt fast and well with other race and since English is the language of world business and we Filipinos can converse very well using English, and foreign businessmen will not have difficulty in starting a conversation. We Filipinos are very creative and resourceful. We are very innovative and always come up with the smartest and brightest ideas for our business. We are very brave to take the risks always and do not give up easily. We always try to squeeze everything in our end to make things happen. We are family-oriented. We always have a soft heart for the family. We try to do our best to give a good life to our family and we do whatever it takes to give them a brighter future. This gives us the sense of responsibility and that we will do our best to make our international business venture be successful because we do it for the sake of our family. According to the article, Cultural Differences can make or break the goal of multinational companies. It may help in the success of the business by having diverse ideas and solutions to problems arising in the company, however, it may also create a loophole when misunderstandings also rise together. The article also discussed three factors of Cultural Differences which are Communication, Etiquette and Organizational Hierarchy. For us Filipinos, I think the cultural factors that we possess that can make or break the goal when penetrating the global market are Filipino values in treating family and friends in doing business transactions because it is commonly known in the Philippines that in doing business such shall be given consideration and discounts due to debt of gratitude and social status in which there is an idea arising that goods from abroad are better than those good produced locally. It is necessary that every Filipino will have this so called paradigm shift in every aspect of life and this will help them to be more confident and become competitive in the global market. Filipinos had cultural strengths and traits that are beneficial. 4. Adaptability – Filipinos when being mainstreamed with different people, cultures, situations that makes us well rounded being. Filipinos adjust easily to different cultures, learn the language easily, and even get along well diverse people. We Filipinos, also possess these cultural factors that makes us different from others and these cultures of us will lead us to our goals in penetrating the global market. We value relationships, whether in family, community or in business. Filipinos give importance in every relationships. To us, business relationships are considered as personal relationship because we do the best that we can to serve customers and produce quality work and products. Also, we cooperate well and please our business partners to build a long-term relationship with them. Another is, we have this patience and endurance that even when the going gets tough, we keep on moving and pushing our goals. Though we fail, we stand again and we do not easily give up. Filipinos are also flexible and can do multi-tasking; able to do other functions related to business. Also, Filipino business people are responsible, hardworking, creative and has initiative. These factors can give success to every filipinos who will enter the global market. Filipinos are known to be hospitable, strong, religious and family-oriented. We also manage to smile despite any unwanted calamities in life that we look on the positive side of things. On the other hand we have this ability to adapt things instantly like a chameleon. These factors will now make the Goal of penetrating the Global market but it will not be easy. A Filipino entrepreneur needs to experiment. They may fail once or twice or they may be successful right away but we do not know unless we try. On the other hand, For whatever things will going to do, either you can make or you can break in a business we have this sense of humor and resiliency that we can make it through whatever it takes., That makes us different from other nation that’s our own TATAK as Filipinos our SMILE despite the downside, our JOY on our success and ONE Filipino nation on both ways. Wherever you go in the globe, you will always see Filipinos working who are willing to sacrifice just to provide good future to their families. 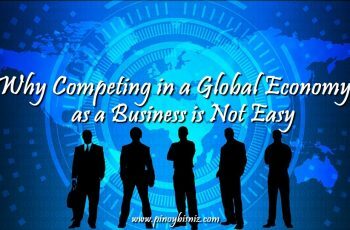 Filipinos are globally competitive. Most of the people in the Philippines know how to speak the universal language, English, which we consider an advantage. We can easily communicate and speak our minds wherever we go. We can easily express our thoughts and ideas to other race. We, Filipinos are very adaptive and can easily adjust to other culture. We know how to respect their beliefs and their way of living. We are empathetic and always care for others. Conquering the global scale is never easy, but Filipinos are positive in every endeavor and that what makes a dream to penetrate global market a reality. We are very passionate and resilient. Whenever every plan fails, we always make sure to rise in every downfall especially in the business. I believe that each person is different from each other as well as the nations. Each nation is different and unique but we had survived for we try to accept each other’s differences. Below is one of the factors i think that can affect our goal of penetrating globally. *Filipino’s Pride- We always wanted to feel special and valued. We wanted to be praised and adored which i think would be a problem when we try to hit global. Other races are not that vocal or showy of their appreciation to us and it can create a drama or commotion. If only filipinos can manage this innate attitude we have, we will be able to attain a much more healthy and peaceful place for trading both locally and globally. Flexibility and being Sociable people should possess by each Filipinos in order to break the gosl when penetrating the global market. Flexible talks about your capabilities and able in whatever you are doing no matter what the circumstances are. It also defines you of being tolerant and willing to compromise in different circumstances. Sociable brings you to success, it takes you to a higher level when you socialize your target market. Be an out-going person and knows how to level himself/herself kn different cultures/nationalities. In this way you can build relationship as well as gain knowledge in interacting with them. As we go on global markets, we can face different possible challenges to possess. It should be made by fully understanding and ready for any instances that may occur. Entering global business can’t be scary anymore, but the best thing to do is following the rules and guidelines. To be fully ready before taking new step and being aware of a new culture. 1. Getting to know how much would company spend to invest global business. 5. Further research about the environment , culture, and society. 4. What do you think are other factors (cultural) which we Filipino possess that can make or break the goal when penetrating the global market? We Filipinos are one of the most flexible people in the world when it comes to blending with another people’s culture. Communication, etiquette and organizational hierarchy, out of three, what can make Filipinos or break us is communication. We are sensitive when it comes to etiquette and organizational hierarchy but when it comes it communication this is where I think we are having issues with. We are good speakers, we can speak English, almost everyone, we learned the language since pre-school though communication is not just speaking but knowing culture behind the word or phrase, gestures, body language and a lot more. We should be aware of the unspoken language, we have our own as well but when it comes to exporting or putting up business globally, we should be the ones who are likely to adjust and not them adjusting to us. In business, we should know what to say and what not to say at the right time. Thus, for me, communication can make us or break us out of the three. Business is an emotional thing, according to motivational speaker and business expert Lloyd Luna. If you prepare to succeed, then prepare to fail. Mostly, others are just prepared to succeed. Many businesses fail because of global competition plus the risks and challenges. But Filipinos are resilient. Filipinos have the ability to recover or adjust easily to change. Most likely we are risk takers (in a positive way). Filipinos are intelligent and skilled people. We possess good work ethics that foreign employers like among other nationalities. We treat authorities/persons in an organization with high respect. Being the 3rd English speaking people worldwide enabled us to have good communication skills. We are hardworking, patient and determined. These to me are distinctly inherent factors that could make a Filipino penetrate the global market. I think one factor that can break a goal of a Filipino to penetrate a global market is arrogance. He tends to be bossy and put high regard of himself. He only believes in his own judgment. He refuses to listen to his workers and decide on his own. Interaction is important to maintain good rapport with your customers, business partners, and workers. Good communication skills play a vital role in global business for planning and strategizing to adapt and be accepted by your target market. The other cultural factor that can make or break Filipinos goal in penetrating in the global market are the language/communication and values of other people, some understands your intentions, provides you assistance, and be of good help in the industry. While there were people in other countries belittling you, betrays you. Backfighters and gaining informations of techniques for their own benefit. One best example is that I have known this particular company having a conference with foreign partners speaking in different language and spoken negatively and filtered by a translator into positive statements, while without knowing on their part someone in the Filipino group of traders has this officer who understands their language, there been caught that everything he told are being filtered. So basically this only means that values is also a pride that a particular natives of that country possesses. Filipinos should be very keen and careful when choosing who to interact,trust and invest with. Many of the entrepreneurs has a huge plan when in comes to there products and services. Some of them creates different styles and marketing strategies in order to generate profit and to increase their sales. Business people does not only thinking inside the box. They have a broad thinking to where or how can they improve their products and services and on how they can expand their businesses. Going global is one of the things to be considered. But expanding or entering the global business is not as easy as we think because of the challenges that we may face. There are lots of factors also to be considered in order to make your business successful in global setting. One factor is that the cultural differences. Different countries have different cultures and laws that we have to apply and to know for the business to operate effectively. Cultural factors sometimes affect the negotiations. Different places have also different approaches when it comes to negotiation, some are direct and straight to the point when in comes to confrontation and some are opposite, like we Filipinos are more concern on how we can deliver our statements on a nice way without offending the other people. Organisational culture, wherein business can be done in different approaches. Some may go in offices in business attire and some may wear casual attire. It is important to know the cultures or norms of different companies or organization. And body language, understanding the manners, behavior and gestures is necessary to become aware especially in different countries. To become more observant to avoid being misinterpreted by people who you are dealing with. Knowing this things can help businesses and individuals achieve and penetrate the global market. Filipinos are hardworking and perseverant. We will not easily give up when the things goes around doesn’t favored to the things what we exactly planned. Instead, we keep struggling and working so hard until things changed. Going into the global market is not easy, aside of language barrier and cultural differences which we encountered normally, a tough criticism and competition will of course Filipinos will be facing. But this would not stop Filipinos instead, we always find ways to make things possible. Filipinos are hardworking and perseverant. We will not easily give up when the things goes around doesn’t favoured to the things what we exactly planned. Instead, we keep struggling and working so hardly until it changed. Going into the global market is not easy, aside of language barrier and cultural differences which we encountered normally, a tough criticism and competition will of course Filipinos will be facing. But this would not stop Filipinos instead, we always find ways to make things happen. Filipinos have less discipline than other nationalities even though we take pride in our country. We will do whatever we want to do without thinking about the result. Laziness is a big problem when you are doing business globally, where every seconds count. There is no time to be lazy for every business because it might be the reason for your business to lose in the global market. Most Filipinos settle in their comfort zone that is why there will be no more room for improvement. When they are done expanding some few things in their business and it is doing great then they just want to be like that for the rest of time. Improvement of the business from time to time is essential to maintain the face of the business on top and not be left out by other competitor. Filipinos are also full of their selves that they believe they won’t need opinions and judging of anyone. They are not open for more learnings especially when they know that they are superior from others. This attitude can cause their business goals ruined and soon the business will shut down. The cultural difference is one of the major factors to consider in International Business. Anyone who is considering doing business across the border line of the country or in International Business must understand first the culture of the other country they are planning to have business with. And if ever they don’t have this, they can hire somebody to become their adviser. But learning the culture and most specially the language of the host country is an advantage, for you can win their trust easily. Every country has its own rules and regulation to be followed in order to have a good partnership with them. 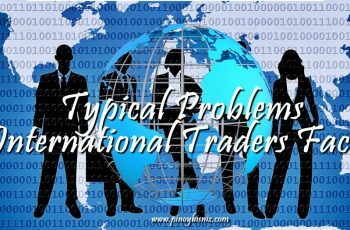 And as Filipino traders we possess some cultural factors that can make it to penetrate in global market. That we Filipinos are very respectful, for the moment we can understand we are taught to be respectful in our elders and not just in our family members but for the other people. Being respectful can help us penetrate the global market for foreign culture is different from what we used in our very own country. What we assume or think is different from them so we need to respect individual country differences. Respecting their culture and norms is a big help in starting up a new foreign operation. For mistakes can hard to correct and disrespecting other countries culture can destroy the whole operation. Respect can and will matter in International and Global Market. Q1. What do you think are other factors (cultural) which we Filipino posses that can make or break the goal when penetrating the global market? A1. One factor (cultural) to consider is that Filipinos are superior in building a good relationship. According to the Social Media Marketing firm (February 21, 2017), Filipino spent more time of about 4.17 hours a day (2016) in social media using smart phones. 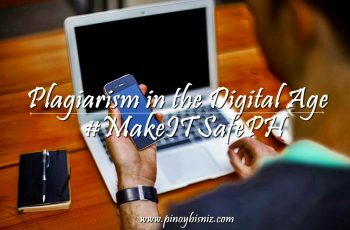 By this, using smart phones can connect worldwide wherein you can build a good relationship with foreign countries; you can buy, sell and offer anything through social media (FB, Tweeter, Youtube, and other online platforms such as Zalora, Lazada, shoppe, OLX, etc.). We are now living in a convenient world, where everything come and goes easily. Because of these online platforms, building a good relationship with foreign countries can easily penetrate global market by following, liking, and advertising using social media. We cannot deny the fact that technology changed rapidly. According to Mr. Mamacus, business is just like swimming; either you swim or you sink. What can make a Filipino unique in a global market? 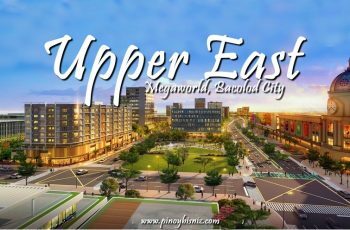 We all know that our country is struggling with the poverty, corruption, inflation, low labor cost and other problems that our company is facing. But despite of this struggling problems, we Filipinos always have this kind of attitude of being optimistic in all aspect of our lives and in our business. Being hospitable is one of the many qualities of a Filipino. A lot of foreign investors like the hospitality we shown to them that’s why they keep on going back here in our country. We respect the norms and cultures of our business partners in the other countries. Eagerness of bringing the pride to our country is also the best traits of Filipinos. Like Hidilyn Diaz in weightlifting competition, Manny Pacquiao in boxing, Monique Lhuillier in fashion industry and many more. Like them, we are eager to do our job in order for us to compete in the global market. We Filipinos, know how to speak in English for us to successfully communicate with the other businessman or exporter. Lastly, we are the hardworking people, we are willing to extend our hours just to finish our work and to comply all our customers/consumers needs or wants. Question: What do you think are other factors (cultural) which we Filipino posses that can make or break the goal when penetrating the global market? Ans. What can make Filipinos stand out? Despite of the negative comments there are many things that we can be proud of as a Filipino. Filipinos are known all over the world for remarkable qualities that brings pride to our country. We are highly relational and hospitable in nature. We are compassionate and creative. Being creative is not an exclusive trait that we do possessed as a Filipino but what makes us stand out is our spontaneity, artistry and humor that would altogether define Filipino creativity. Aside from being creative, we Filipinos can also be proud of our adaptability. We adapt well in any difficult situations that highlights our resilience as a nation. We tend to make do with what little we have and find pleasure in simple things. Aside from that Filipinos are highly educated and 70%-90% of us are fluent in English that makes us communicate and do business successfully in any countries all over the world. 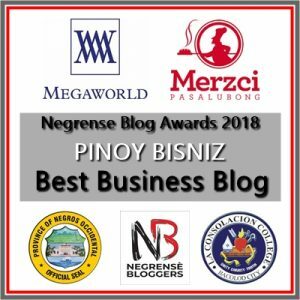 In cultural differences, communication is vital to the success of any business endeavor, and Filipino have great communication skills, that is why Filipino can explore can compete in the global market because of a customer service oriented and because of the culture values that we are proud of. Filipino culture is very rich, we have Spanish, American and Japanese culture in us. This diverse culture has both positive and negative impact on our individual behavior, may it be in our personal lives or in managing business. This unique culture that gives us our own identity, play am important role in doing business in the global market. Here are some of the cultural factors and behaviors that I believe will either make or break business success in the global market. One of the specific cultural factor I consider to help business success in the global market is the Filipino attitude of creativeness and innovativeness. We Filipinos are very created and innovative; used plastic bottled water made into beautiful vase designs, old clothes made into rags, and even broken crystal and other recyclable materials into amazing home decors. This Filipino values as part of our culture will surely help us in penetrating the global market. Another part of our culture which I believe is also crucial in making it big in the global market is the value of resiliency. Yes, we are very resilient. Very common example are the Filipinos still smiling despite the calamities they are experiencing. So what is the relation of this value to being globally competent? Well, this value is important knowing that global market is very challenging and tough. Being resilient especially in a very competitive arena is an edge. On the contrary some of the cultural factor I believe will break the Filipino dream in penetrating the global market are also the values that is part of our culture. One of these is the value of bahala na. I guess it’s safe to say that we are risk taker, risk taker that we didn’t have any plans before deciding on something. In doing business globally, strategizing is very crucial and important. We cannot just simply say “bahala na” or come what may. Every step must be well prepared and well planned. To sum it up, Filipino culture, values and identity can either make or break a Filipino dream of making it big globally. It requires faith, courage, hardwork, and determination if one dreams to become a global business. Part of Filipino culture is the love for family. Filipinos work hard to take care of their families. This is a value very helpful in business since, due to the commitment to provide for family, hiring Filipino employees means that they are diligent and dedicated at work. A firm venturing internationally mainly composed of Filipino employees can be an advantage since aside from the work skills and English language proficiency, Filipino’s love for their Filipinos make them hardworking. Furthermore, also common in the Philippines are families working together in a corporation. This is beneficial since loyalty will not be in question. But on the other hand, this may pose also an issue in decision making, since most of the decisions will be based on the hierarchy of family members and not on the value of the idea presented. There are some factors which Filipinos possess that can easily break the goal when penetrating the global market and these are: 1) Always late for an appointment; 2) Husband is the one who usually work than a wife; 3) Wife usually handles the money in the household; 4) More companies prefer male over female in top management; 5) When the boss is not around, the mice are playing; and 6) When it not deadline, people don’t work or pay the dues. They always wait for the due date to arrive. I think more or less it’s not very good attitudes to adapt. It has to change!